Healthcare related infections (hospital infections) affect millions of people worldwide and pose a significant global problem for patient safety. Infections related to healthcare cause the extension of hospitalization periods, labor force losses and an increase in costs. The infections that are not in incubation period when the patient is hospitalized and are caught at hospital are defined as hospital infections, or as health care related infections. These infections generally develop 48-72 hours after the hospitalization and within the 10 days as of being discharged. 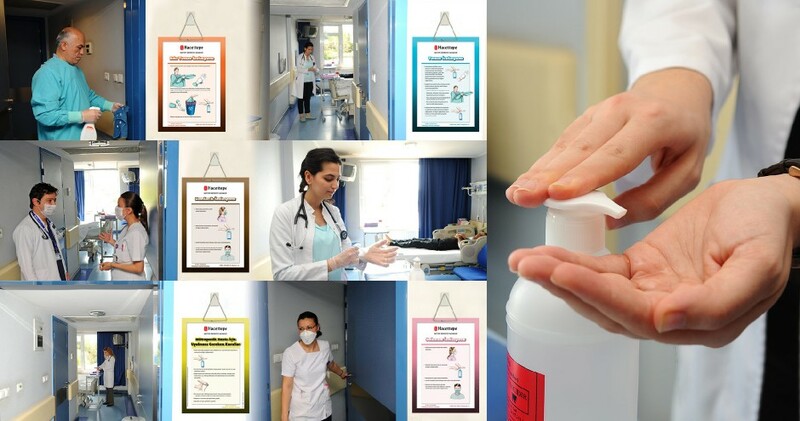 Our committee has been established in 1984, with a multidisciplinary approach, in order to define the problems on healthcare related, organize and conduct activities on the solution of these problems, and it has pioneered the subject of infection control at our country. Our initial objective is to conduct an effective infection control program in our hospital in order to prevent the diseases, deaths and increasing treatment costs related to hospital infections. Infection Control Committee carries out its activities pursuant to Infection Control Regulations for Inpatient Treatment Institutions, No. 25903 Dated 11.08.2005. • To be the leader and set example on preventing infections related to health care, at both national and international levels. • To organize and actualize the universally recognized evidence-based infection preventing practices.